The Arts Place of Stokes and the Stokes County Arts Council present the 3rd installment of our annual Winter Dessert Theatre series on Saturday, March 9th and Sunday, March 10th, Flights of Imagination. Written and portrayed by Terri Ingalls, Flights of Imagination is a trip back in time – a time when flying was a pleasure and passengers and crew were friends. Terri Ingalls was part of that fun-filled life and shares it with us in this one-woman show. From 1966 through 1969, she was a flight attendant with Piedmont Airlines – the small but now legendary carrier that was absorbed by US Air in 1989. Pilots, passengers, emergency landings, Saint Bernard puppies, proposals of marriage, and a touch of airline history are all woven together with skill and laughter. She reminds us that flying used to be fun – especially if you were you young and it was the 1960s. Flights of Imagination is a landmark tribute to one of our region’s greatest sources of pride – a homegrown airline that was wildly successful and helped usher in an era of economic progress in North Carolina. And, as a tribute to the Piedmont flying experience, we will be doing everything we can to simulate the flight experience for the audience! Just how will we do that? You’ll have to come to the show to find out! Storyteller, playwright, actor, tour guide and more, Terri Ingalls is one the great treasures of this area. If you’ve ever seen Terri perform, you know exactly what we mean. And if you haven‘t, you are in for a real discovery! An evening with Terri is always an evening full of magic and delight. Last boarding call before the doors close – DO NOT MISS THIS PLANE! Then sit back and enjoy the flight! 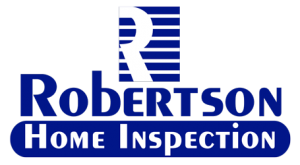 Saturday 3/9/19 – 7 p.m. with dessert service, sponsored by Robertson Home Inspection, beginning at 6 p.m.
Sunday, 3/10/19 – 4 p.m. with dessert service, sponsored by Edward Jones of Walnut Cove, beginning at 3 p.m. The Piedmont Aviation Historical Society will display framed pictures, magazines, timetables and an airplane model from their collection at the performances. Purchase tickets ONLINE or over the phone at 336-593-8159.